Chari & Co have quickly become one of the go-to shops in NYC for fixed, track and road components. Hold Fast has also muscled their way into the NYC scene over the last year. 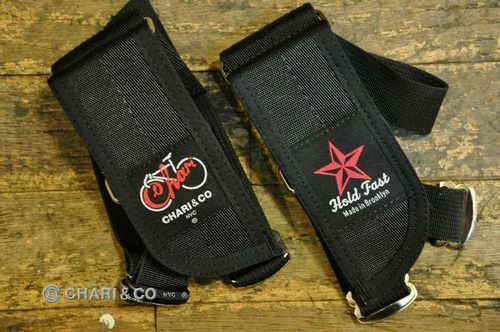 To commemorate the two company’s success, they teamed up to produce a limited run of Hold Fast FRS straps. Available now at Chari for sale directly through their webstore.